sew.darn.quilt: What's Your Irish Handle? Have you seen this floating around today? Chuckle! 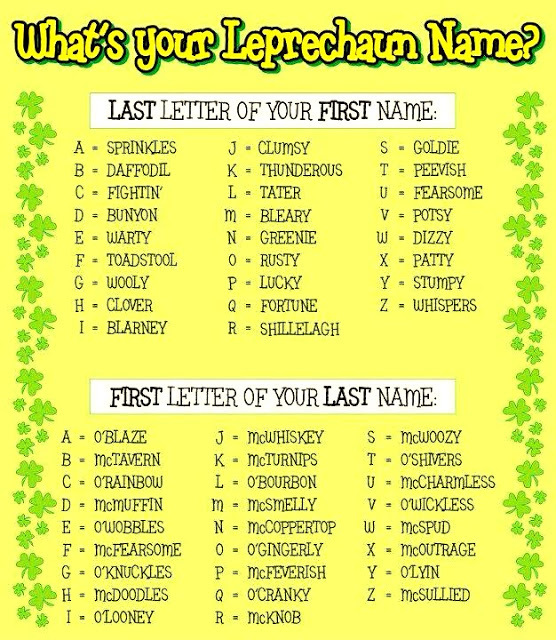 I don't think I'd like to be known as Warty McTurnips. Funny!! 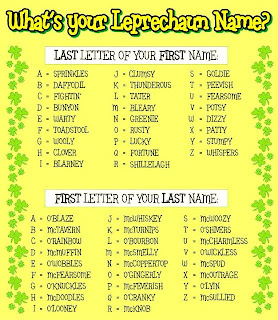 Shillelagh McCoppertop Does that mean I have red hair. That would be funny because I have white hair. I don't think it would be a good look. I'm Sprinkles O'Rainbow, that's lovely! LOL love the hubby's new handle! My hubs is Wooly Oshmers - ew! !